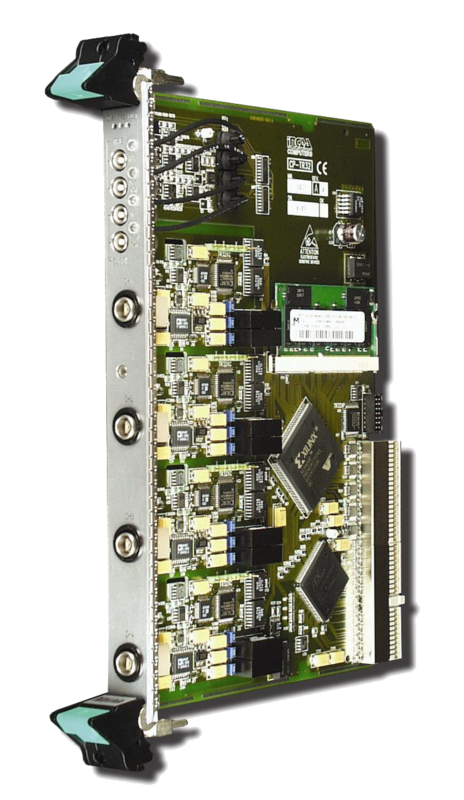 The TR32 module is a 4 channel digitizer with onboard memory in a CompactPCI form factor. 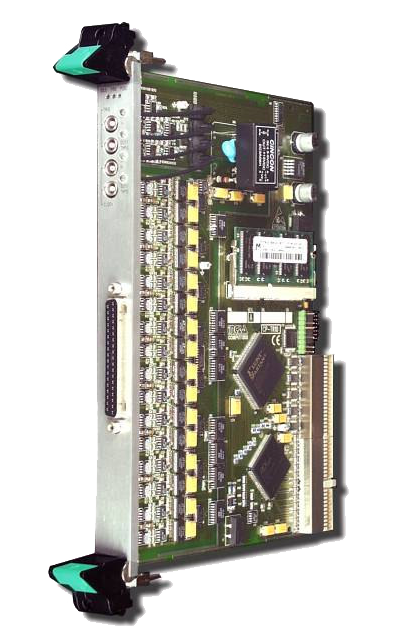 The 4 channels are separately isolated and are sampled simultaneous (not multiplexed) with 14 bit resolution at a speed of max. 3MS/s per channel. The instrumentation amplifiers have a software selectable gain of 1, 2, 4 or 8. A buffer placed after this amplifier gives an extra software selectable gain or 1, 0.5, 0.25 or 0.125. 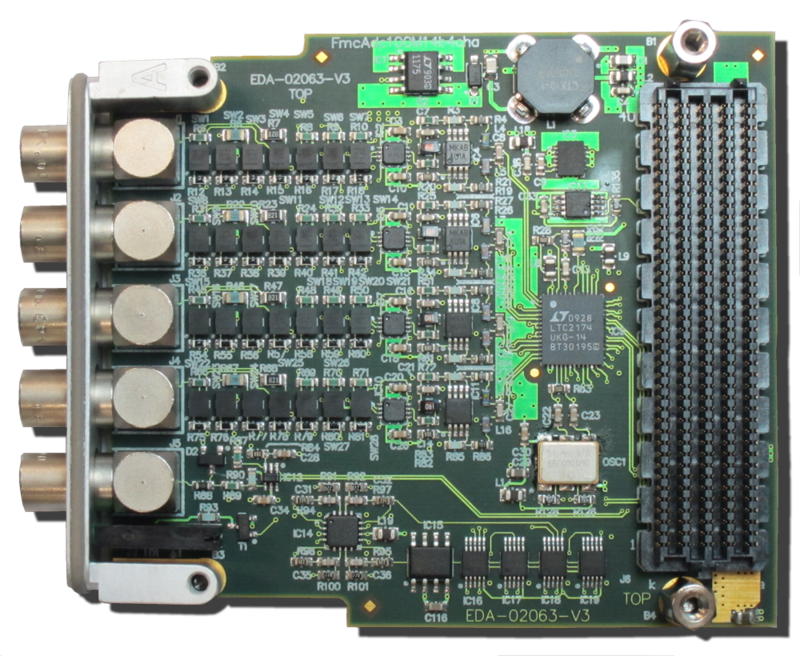 Using this PGA functionality a fairly large range of input signal ranges can be mapped on the ADC range efficiently. An analog filter attenuates the higher frequencies present in the input signal. The filter is built as an active 2nd order Bessel multi feedback filter. The cutoff frequency (-3dB) is at 1.5 MHz. 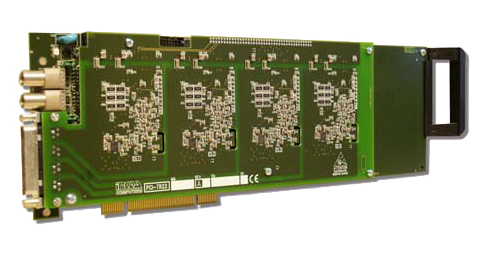 The samples are stored in onboard memory. The memory is organized as a ring buffer. On every sample clock the A to D converters convert the analog inputs and send the samples over the isolation barrier where they are stored into the ring buffer.